Kevin W W Blackley books has multiple publications completed and many more in the works. Below are just a few of the books available now! The inspiration for this award-winning children’s picture book came from the growing concern to send a clear message of anti-bullying. Whether you are the bully or the one being bullied, we can all take steps to stop it in our own lives. The story follows the lives of four children over the course of a couple days in their school. The actions that just one student takes directly impacts the lives of the other three children. 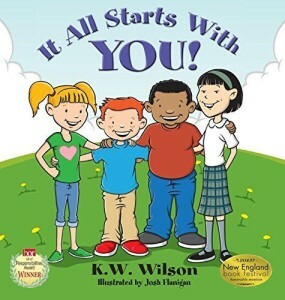 It’s been recognized by numerous schools for it’s positive influence on teaching the importance of personal responsibility in the bully cycle at an early age. 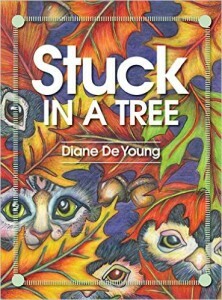 Stuck in a Tree is a story about a boy named Jackson, who despite his parents’ warnings, decides to climb to the top of the tree in his backyard. The wind starts to blow and the tree starts to sway making his climb to the top a terrible mistake. Jackson talks to many of the animals that dwell in the tree. In the end, he understands that his parents’ rules are meant to keep him safe. 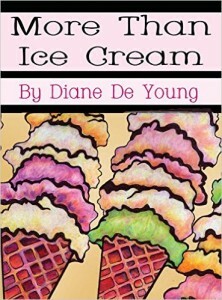 More Than Ice Cream takes the simple and beautiful act of saying, “I love you,” to a fun and imaginative form of enchanting expression. Its playful combination of images and descriptive words sparks imagination and makes the art of telling someone you love them a creative and colorful game. 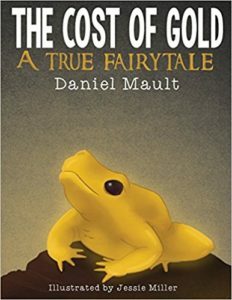 What would you do if you had to choose between a castle, gold, and all the riches you ever wanted or the love of your family? In this charming and thought-provoking tale, Maggie and Henry are quickly presented with a very big decision. If the simple definition of a treasure is “something of value,” then why do we often automatically envision a buried chest of precious gems to define the term? In a world where we tell ourselves to “stop and smell the roses” and that “money does not buy happiness,” this easy read is a must. 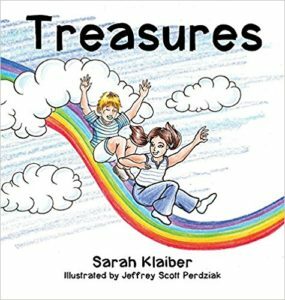 Its meaningful message will show a child how good it feels to love and appreciate, while reminding the adult reader the same. It was when my children’s own relationships began to evolve that I started to see an even greater love that cannot be expressed in just three words. When Charlotte was about three, she questioned why Donovan did not respond when she said, “I love you.” Caught off guard, I used her bond with our family dog, Makeo, as an explanation. “Makeo plays with you. He gets excited when you come home. And he even lets you cuddle with him. Makeo showsyou his love.” Charlotte seemed to have a better understanding, and so did I. We are fortunate Donovan has found his words and we have heard “I love you.” Even so, it is in the joy of sharing a life together and creating special moments that I know how deeply we are all loved. 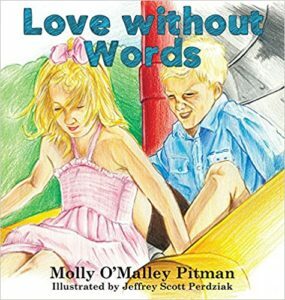 Love without Words was written with the hope that many will be able to reflect on similar moments enjoyed in their lifetime. These moments demonstrate a true and pure love, regardless of any words being spoken.